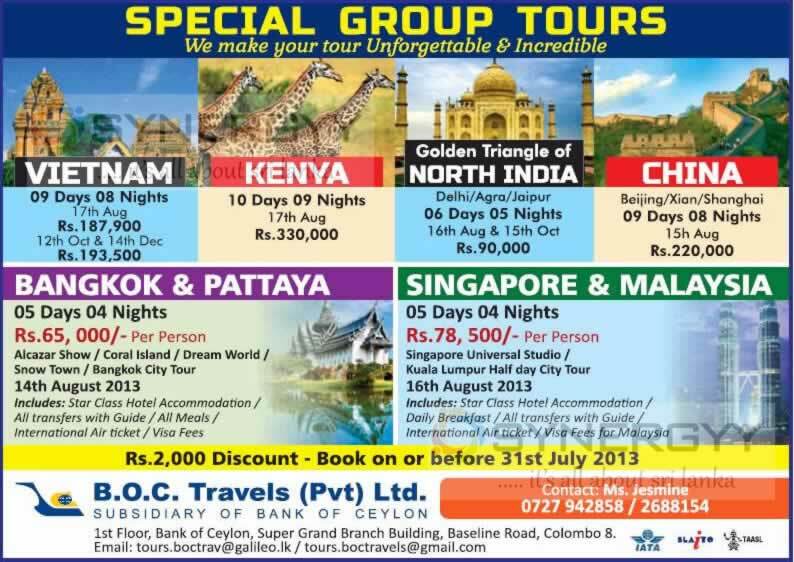 The B.O.C Travels an Subsidiary of Bank of Ceylon offers you an Special group tours to Vietnam, Kenya, North India and China. Celebrate this Eid with Saffron’s Premium Biriyani from our state of the art Kitchen, Order before 3.00pm on day prior to Eld /Festival Collection between 11 00am -1 30pm, For additional portions Roast Chicken for Rs.800.00 & Watalappum for Rs.500.00. 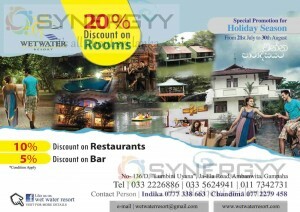 The Wet Water resorts announces the special discounts of 20% off on rooms and additional 10% on Restaurants and 5% on Bar. 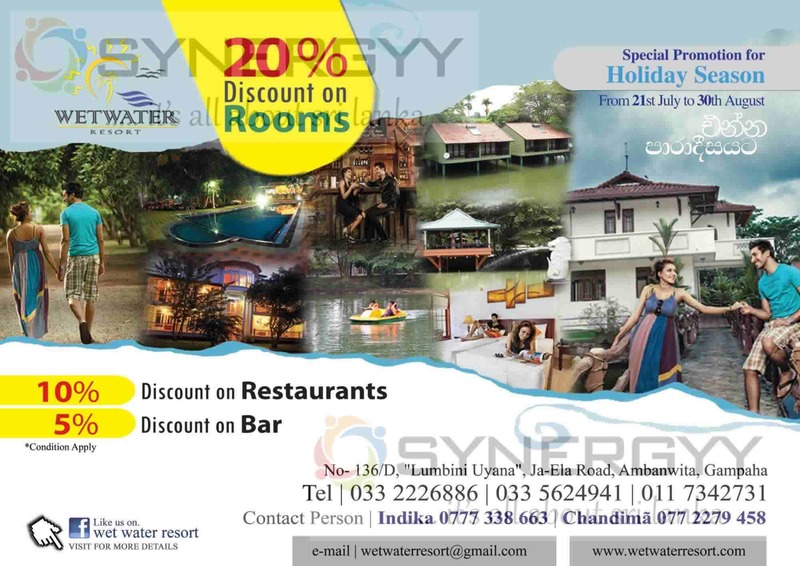 Enjoy your holiday’s season from 21st July to 30th August at the best environment at Ambanwita, Gampaha. VONEL offers you a 20% off for the Ramadan Festive season, visit your friendly clothing store in Colombo and enjoy your clothing collections at best price. 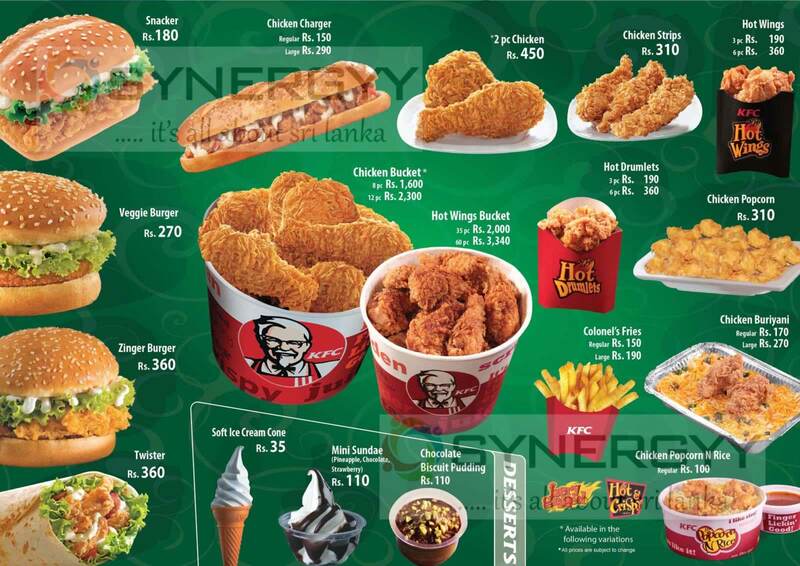 The Seylan Bank, the leading Bank in Srilanka announces the special discount programmes for its Credit cards in island wide. 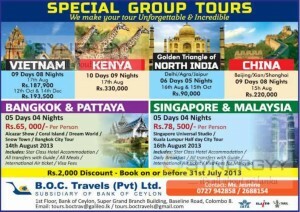 The offers are valid for Hotels, Clothing and Accessories Outlets, Medical Services and Travel & Tourism services. This coming holiday season, break away from your busy schedule and step into an adventure filled wonder world for a thrilling getaway! 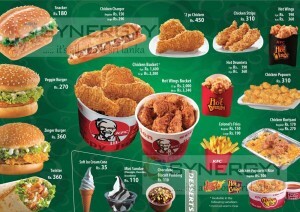 family & loved ones, while enjoying delectable cuisine, theme parks and shopping. 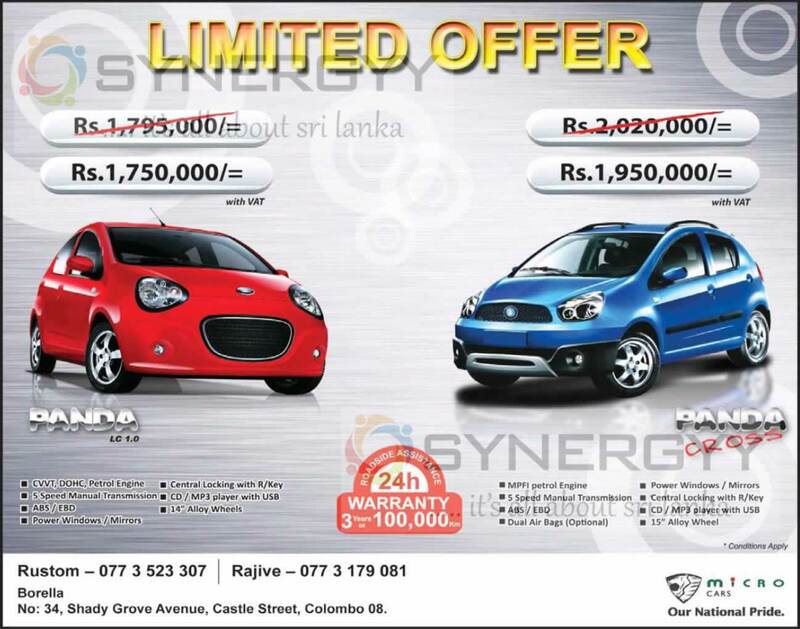 This special price from Colombo is exclusively for our passengers who book online at www.srilankan.com within the next 13 DAYS! We are sure that this will be the ideal vacation for you, with the perfect blend of shopping and adventure! So, hurry and reserve your seats now to enjoy the midyear vacation for this school holiday season. The Romafour the leading premier clothing retailers in Colombo, announces it 10% off on Men’s, Women’s Kids wear accessories till 10th August 2013. 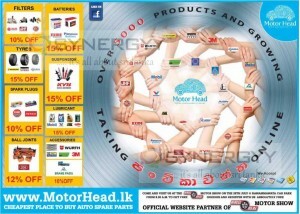 The www.MotorHead.lk a new Online retailer of Automobile Share parts and accessories with a great discounts. 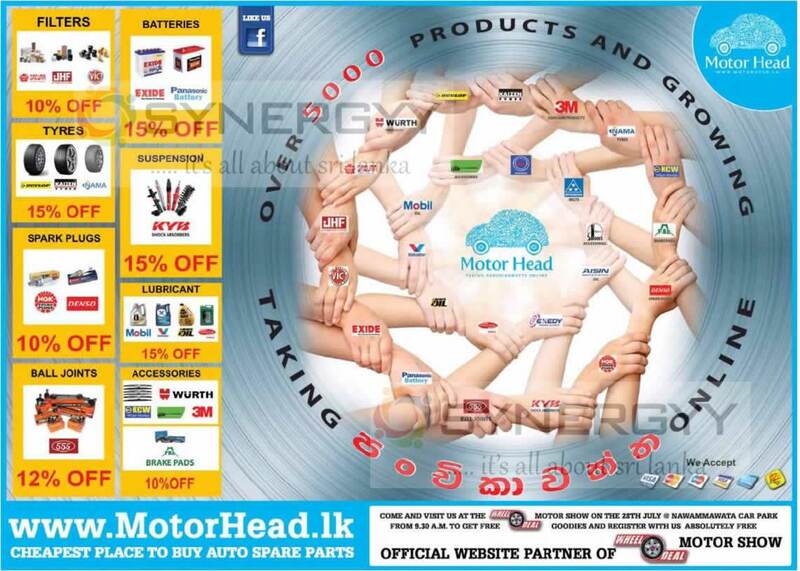 Visit the www.motorhead.lk today and ensure to save your time on Panchikawatha and enjoy discounted price. 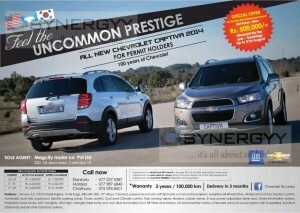 See below iamge for more information about the discounts available. 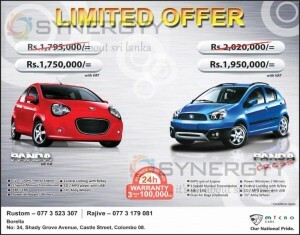 Kohler Sanitaryware organise a Midyear clearance sale on a range of high quality, innovative and unique bathroom products from 23rd July to 5th August 2013.
the Micro Cars offers a special promotion for the Micro Panda and Micro Panda Cross after the new Budget proposal in February 2015. Visit Mango at No I /1. Bagatale Road, Colombo 3. 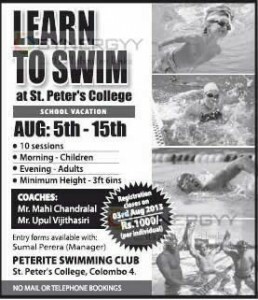 The Peterite Swimming Club invites applications for the Swimming classes from 5th August to 15th August 2013 from the School vacation period. The learning for 10 sessions for morning to Children and Evening to Adults with Minimum height of 3.5 Ft.
For more information contact to Mr. Mahl Chandralal or Mr. Upul Vijithasiri at St. Peter s College, Colombo 4. 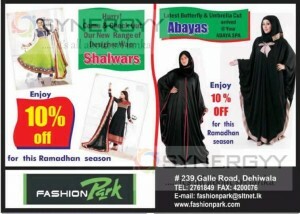 Come & check out our new range of designer wear shalwars and latest butterfly & umbrella cut arrived at Your ABAYA SPA with 10% off for the Ramadan Season. Be smart to obtain your special discounts and enjoy your very own designed butterfly & umbrella cut Abayas today, for more information contact to Fashion Park on 011 2761849 or see below image. 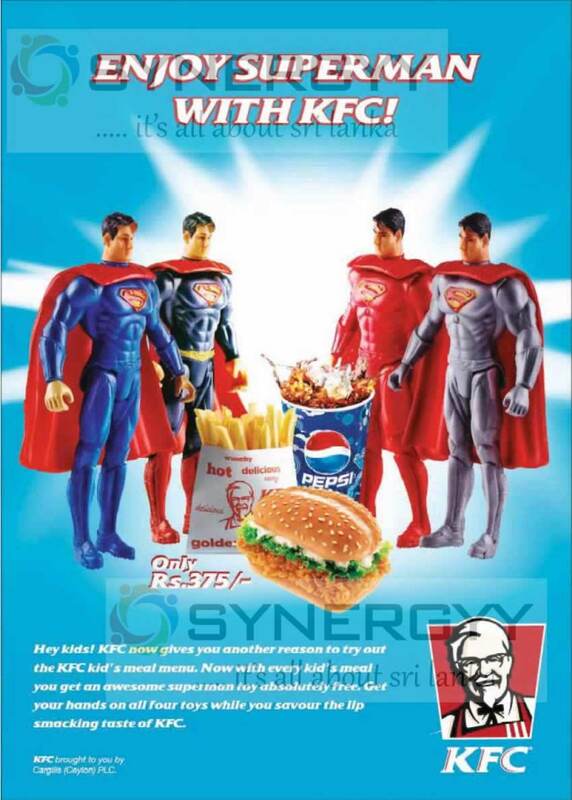 The Double XL announces the Stock Clearance Sale till 31st July 2013 and offered 20% to 50% discount. 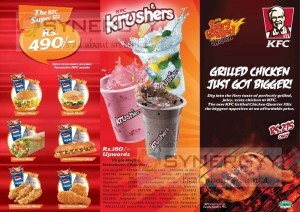 The offer valid till 2 days, hurry up not and enjoy the promotion soon as, for more information see below image. 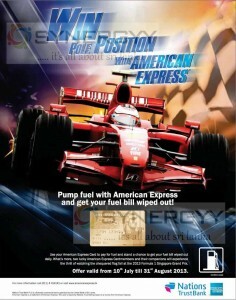 Use your American Express Card to pay for fuel and stand a chance to get your fuel bill wiped out daily. What’s more, two lucky American Express Card members and their companions will experience the thrill of watching the chequered flag fall at the 2013 Formula 1 Singapore Grand Prix. Offer valid from 10th July till 31st August 2013. 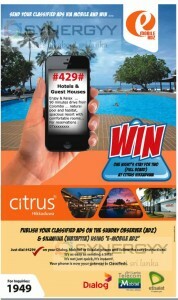 Let it be your midyear business trip or your summer gets away; we got it covered for you! Now you can fly in style to London with our Special Return Fare starting from* as low as LKR 69,800! From Buckingham Palace to local city tours to Designer wear – this fabulous city will offer it all to you. With this unbeatable special low fare, you are sure to be pampered in every step of your trip. 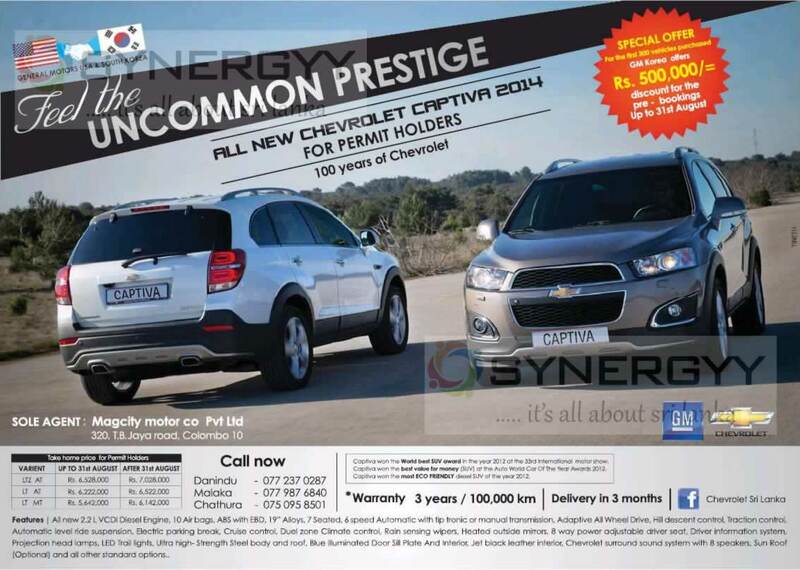 The best part is that you can pick any travel date between 20th September – 10th December 2013! So, hurry! Book your tickets, pack your bags and head off to the land of “Big Ben!” This will be the perfect midyear getaway you can have. *Conditions apply. Fare quoted is for return air fare excluding taxes. 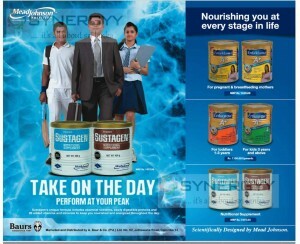 Sustagen’s unique formula includes essential nutrients, easily digestible proteins and 26 added vitamins and minerals to keep you nourished and energized throughout the day. 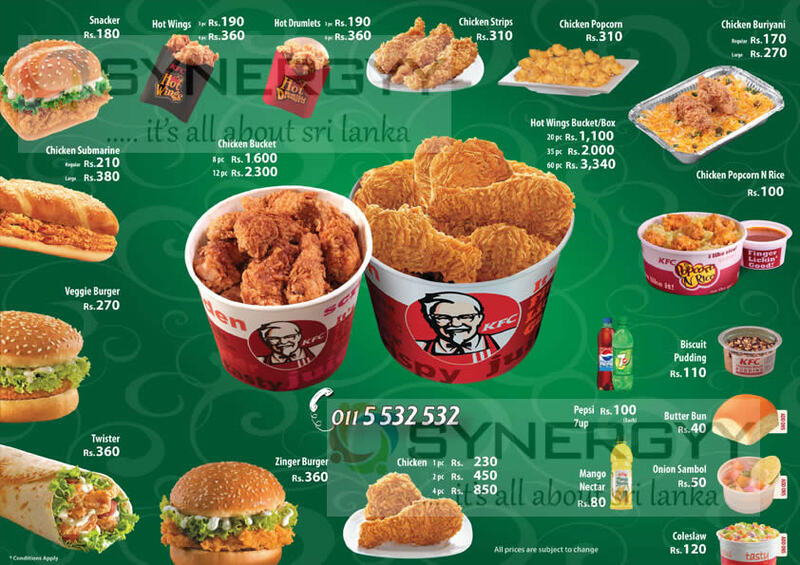 Marketed and Distributed in Sri Lanka by A. Baur & Co. (Pvt.) Ltd. No. 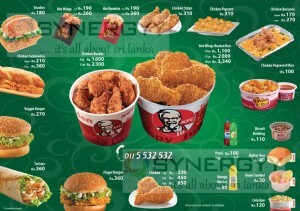 62, Jethawana Road, Colombo 14. 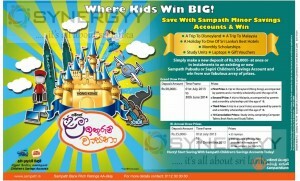 The Sampath Banka announces special gift scheme for the Children Saving Accounts, made the deposits today at Sampath Bank and encourage Saving habit to your kids with Amazing Free Gifts. 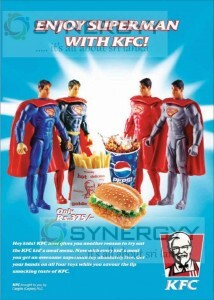 First Prize: A trip to Disneyland (Hong Kong), accompanied by parents and a monthly scholarship until the age of 18. Second Prize: A trip to Malaysia, accompanied by parents and a monthly scholarship until the age of 18. Third Prize: A trip to a Local Hotel, accompanied by parents and a monthly scholarship until the age of 18. 10 Consolation Prizes: Study Units, comprising Computer Tables, Book Racks and Study Tables. 630 valuable gift vouchers awarded at branch level (three winners per branch). Just dial #429# on your Dialog, Mobitel or Etisalat phone and follow the easy instructions! It’s as easy as sending a SMS, It’s not just quick and It’s instant. Your phone is now your gateway to Classifieds. 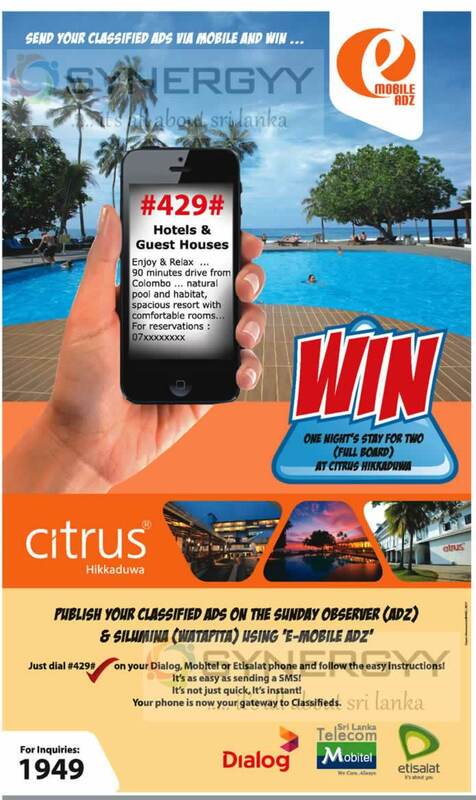 Post your classified Ads on the Sunday Observers & Silumina using e-Mobile Adz. 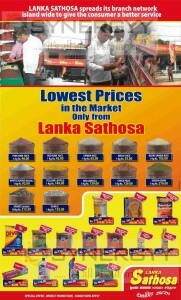 LANKA SATHOSA spreads its branch network island wide to give the consumer a better service. 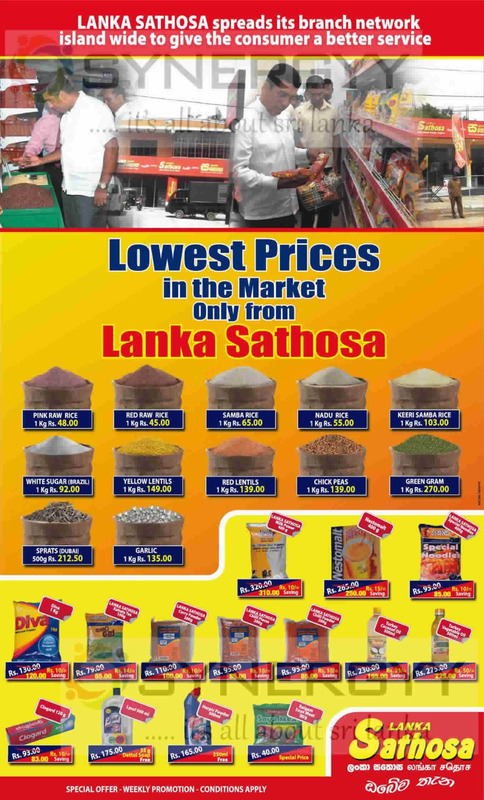 Now the lowest prices in the Market only from Lanka Sathosa. The renovations of seven housing schemes in Colombo will commence within the next two months Under the Nagamu Purawara housing development project. 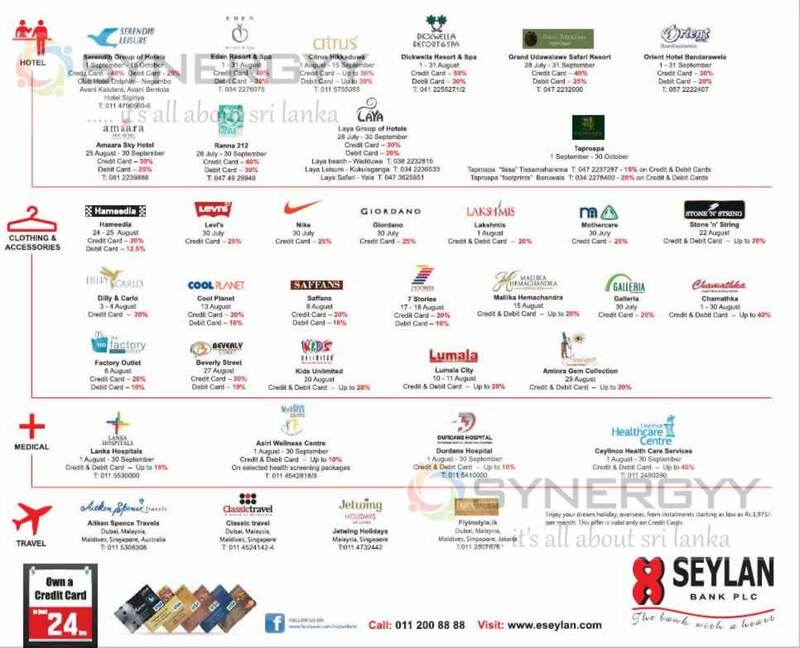 housing schemes, namely the Gunasinghepura housing scheme, Bloemandhal Housing Scheme, Samapura housing scheme, Mihindu Mawatha housing complex, Sucharitha Mawatha housing complex, Palliyawatte and Sirimapura housing complex, at a cost of Rs. 299 million. The Gunasinghepura housing scheme consists of 312 houses and 208 shops. This housing scheme is to be renovated after 30 years at a cost of Rs.133.5 million. The Bloemendhal housing scheme was established in 1957 consists of 396 housing units. 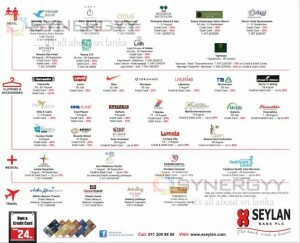 Are you looking for office furniture, here is a special prices are announce by Nimo & Company in Sri Lanka. 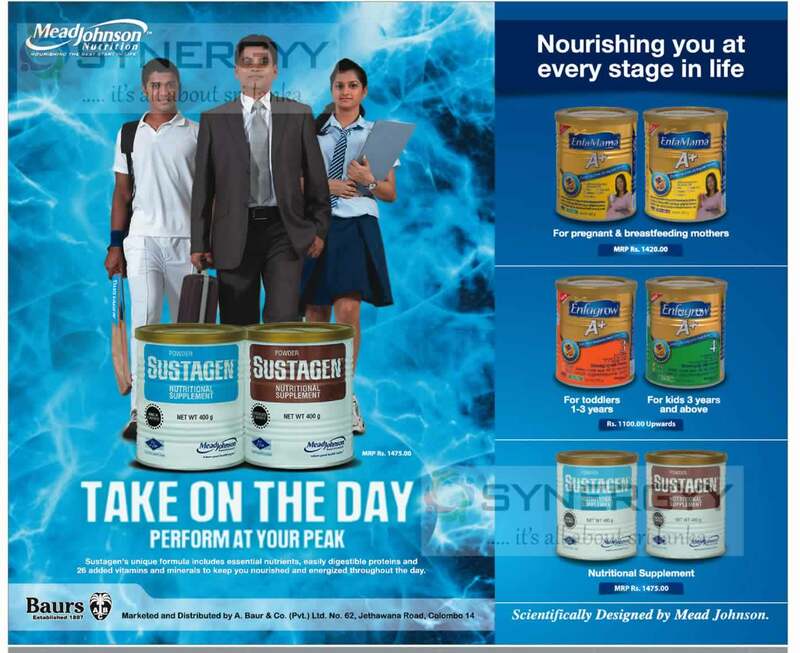 Visit today at 98, Havelock Road, Colombo – 05 and select your desire office chairs at your budgets. 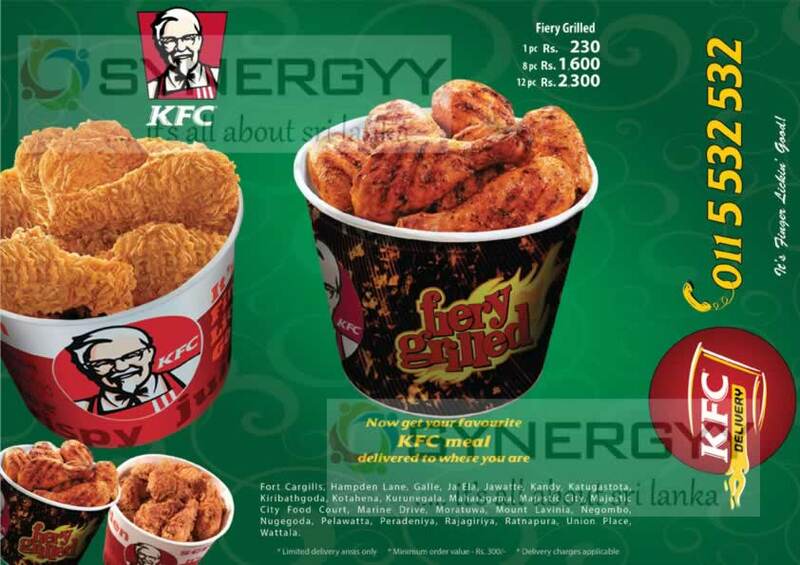 The Pizza Hut Reintroduce the Birizza to Sri Lankan Market with Deliciously fragrant biriyani rice with chunks of chicken covered with a crispy crust, served with spicy gravy and crunchy salad. Vegetarian Birizza with soft cubes of paneer for veggie lovers. 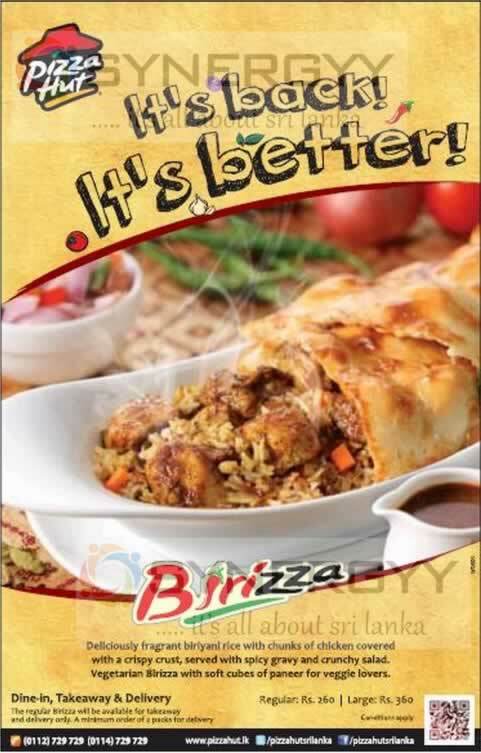 Pizza Birizza is available for Rs. 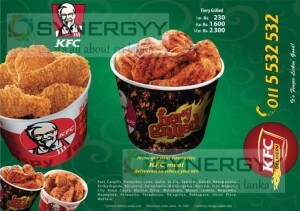 260.00 for regular and Rs. 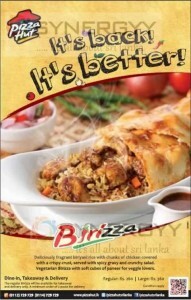 360.00 for Large, the Pizza Birizza is available for Dine-in, Takeaway & Delivery. 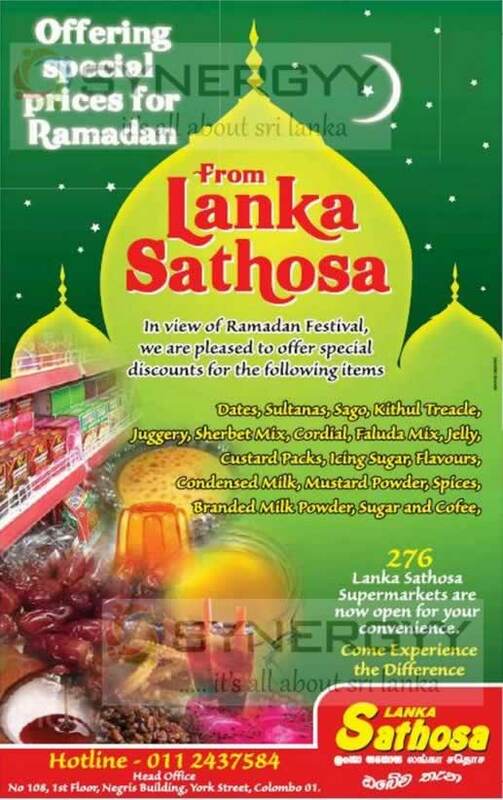 Dates, Sultanas, Sago, Kithul Treacle, Juggery, Sherbet Mix, Cordial, Faluda Mix, Jelly, Custard Packs, Icing Sugar, Flavours, Condensed Milk, Mustard Powder, Spices, Branded Milk Powder, Sugar and Coffee. 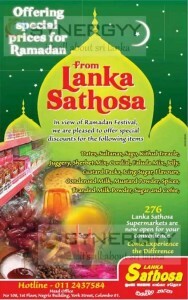 The special discounts will applicable in all 276 Lanka Sathosa Supermarkets island wide.